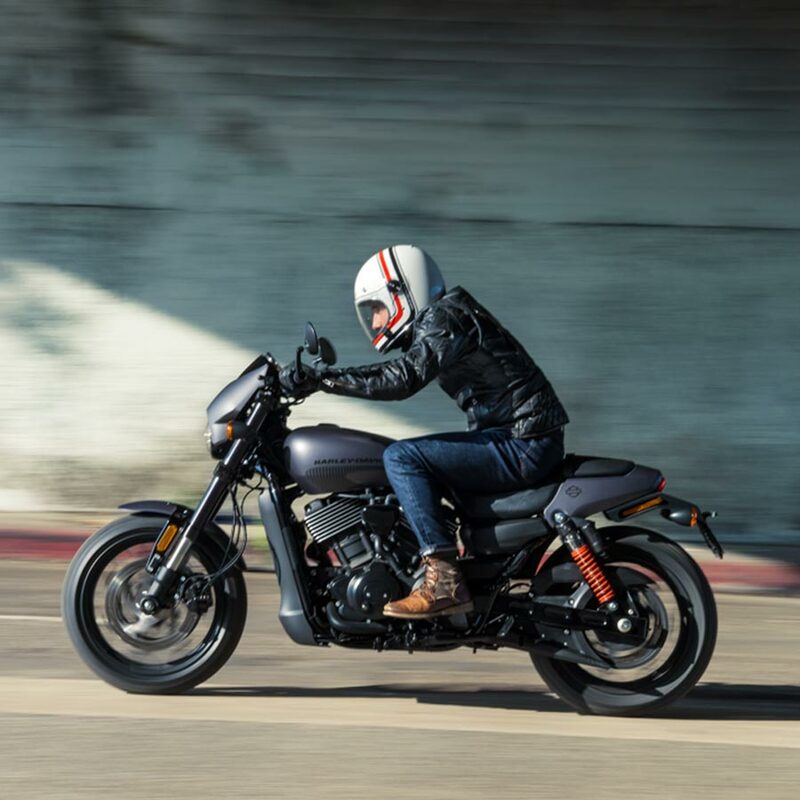 For 2017 the new Harley-Davidson Street Rod is set to raise eyebrows, and reset expectations. Grown from the Street platform it’s built to thrive in the city – and provide an exhilarating experience beyond. 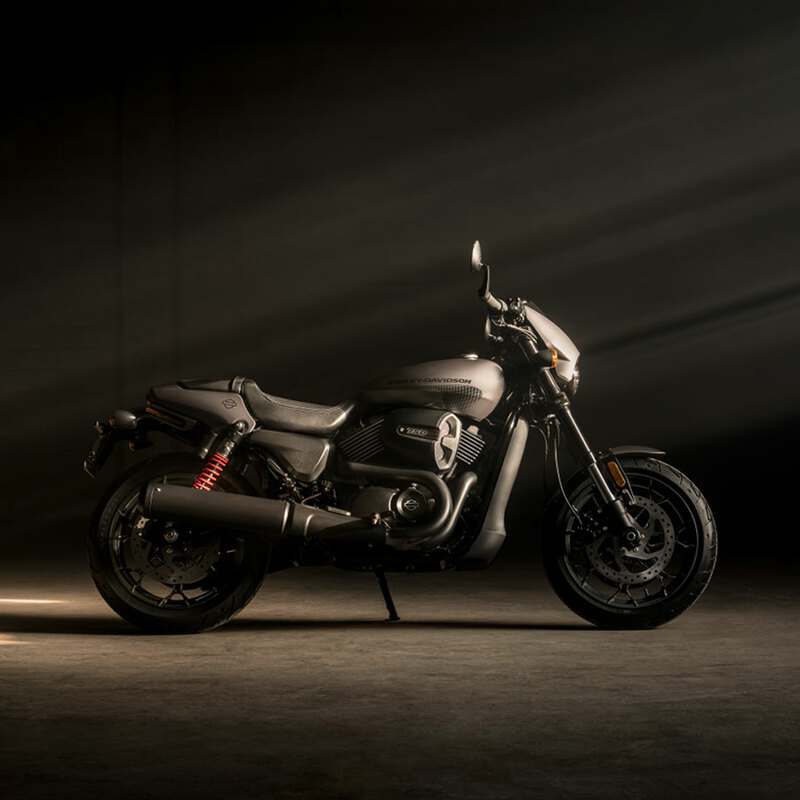 Thiis powerful motorcycle’s tuned High Output Revolution™ X 750 engine, producing more torque through the mid-range and power at the top-end also chases a higher redline. The bigger hitting motor is matched with sharper chassis geometry and aggressive riding position; there are also upgrades to the suspension, brakes and wheels. And the Street Rod’s lines are very much its own. 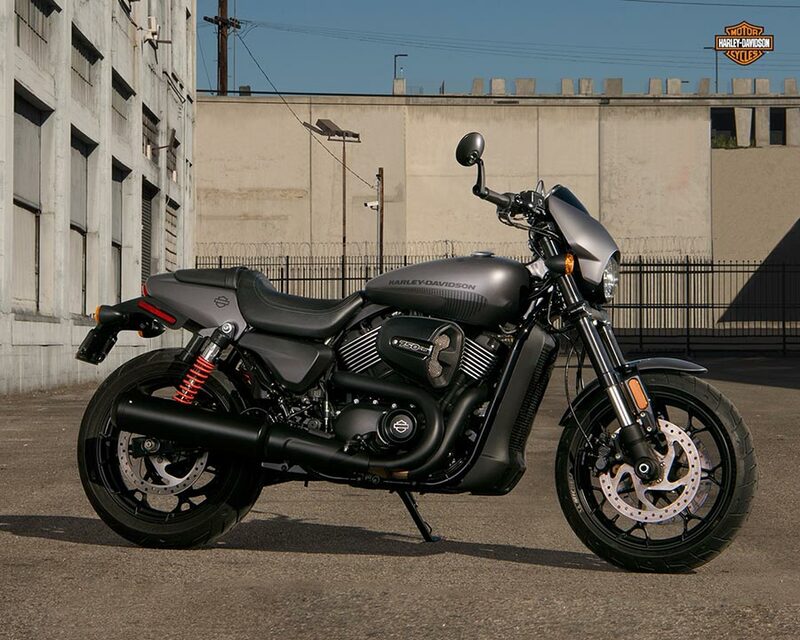 Its tough look is drenched in Harley-Davidson Dark Custom™ styling (plus hints of flat-track steel) and oozes purpose, with a hunched forward, ready-for-action stance. American racing is something very inspirational to the world, it was a key factor in styling inspiration and resulted in substantial changes to the look of the all-new Harley-Davidson Street Rod. Everything was looked at to be performance oriented, street-fighter inspired but with a Harley image and Americana. It is designed to deliver the style and agility demanded in an urban environment where our riders will experience this motorcycle in. We are thrilled to launch Harley-Davidson Street Rod in India which has a growing population of young adults. The model is built to appeal a specific demographic in this space. As a customer-led organization, a key part of our strategy is to attract and retain new riders in India. The new and updated engine of Street Rod adds more midrange torque, top end power and an extra 1,000rpm. 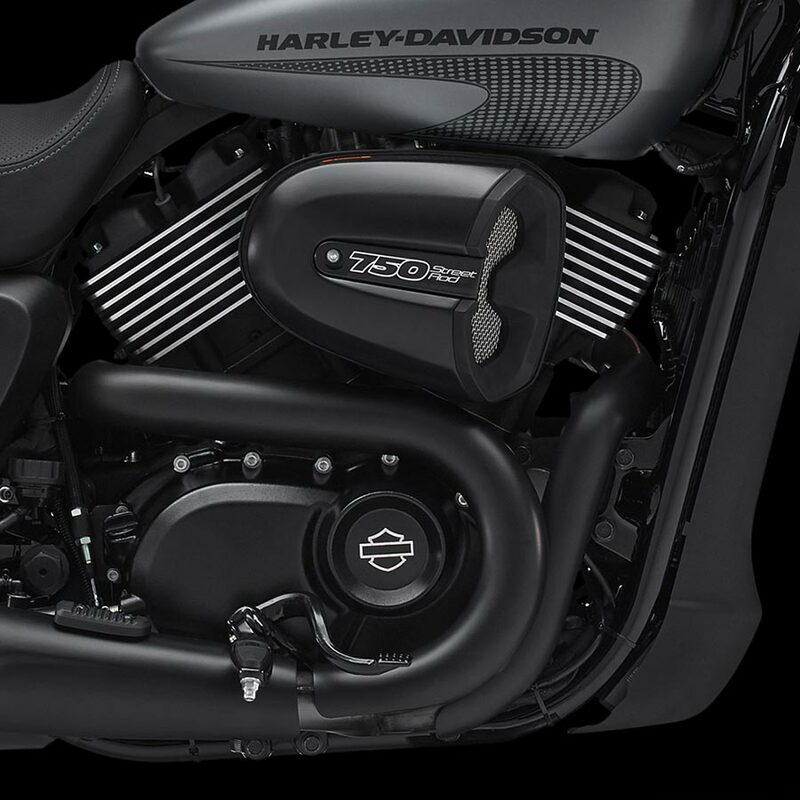 The Street Rod’s liquid-cooled, single OHC 8V 60° V-Twin High Output Revolution X 750 engine produces 11% more horsepower and 5% more torque than the Street 750; peak power arrives @ 8,250 rpm, with peak torque delivered @ 4,000rpm. It’s tuned to deliver strongly between 4,000 and 5,000 rpm, with strong midrange performance that a rider can feel and exploit in real-world situations. It features a larger volume air box and new dual 42mm throttle bodies, new four-valve cylinder heads and high-lift camshafts, plus a higher-volume exhaust muffler – all designed to increase airflow and efficiency. Compression ratio is raised from 11.0:1 to 12.0:1 and the redline goes from 8,000 to 9,000 rpm. The Street Rod chassis is engineered to match the performance of the engine. The front end of the motorcycle features rigid 43mm inverted forks gripped by lightweight aluminium yokes. Fork rake is tightened from 32° to 27° for quicker steering. New rear shock absorbers feature an external reservoir to increase fluid capacity and maintain damping consistency; travel is increased 31% to 117mm. The swing arm is slightly longer to accommodate the taller shocks, with performance-inspired styling. A new seat shape is designed to hold the rider firmly in place and seat height is raised to 765mm, to enhance the rider’s view forward. 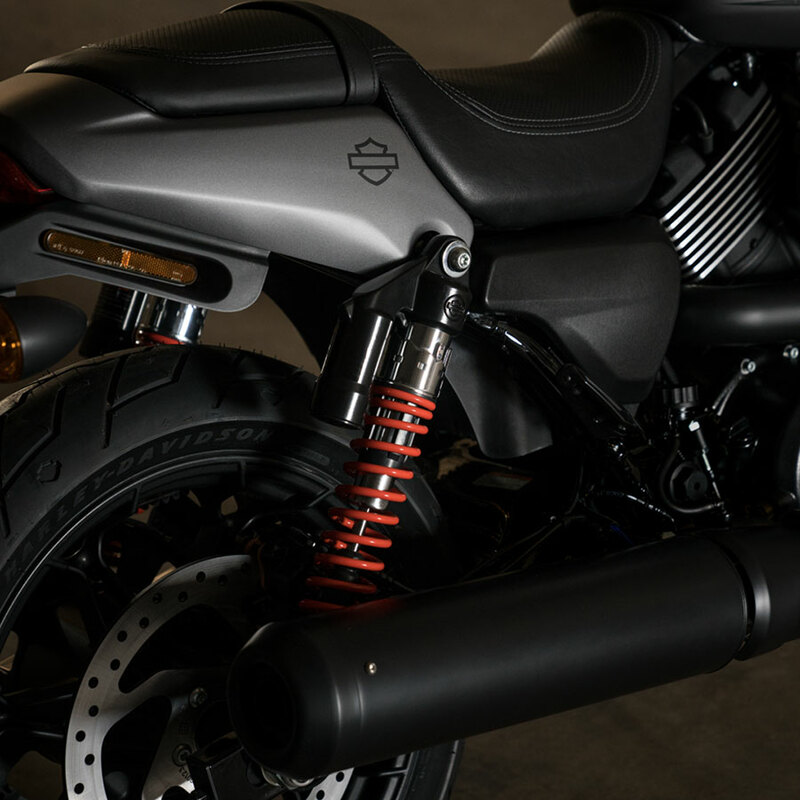 The Street Rod also features new forged brake/gear levers plus aluminium rearset footpegs that aid control and make it easier for more riders to get good ground reach when stationary. To suit more spirited riding lean angle is increased from 28.5° left and right to 37.3° right and 40.2° degrees left. The flat, drag-style handlebar creates an aggressive riding position; new bar-end rear-view mirrors can be mounted above or below the grips, and feature a patent-pending design that allows them to fold back without interfering with the rider’s hands. 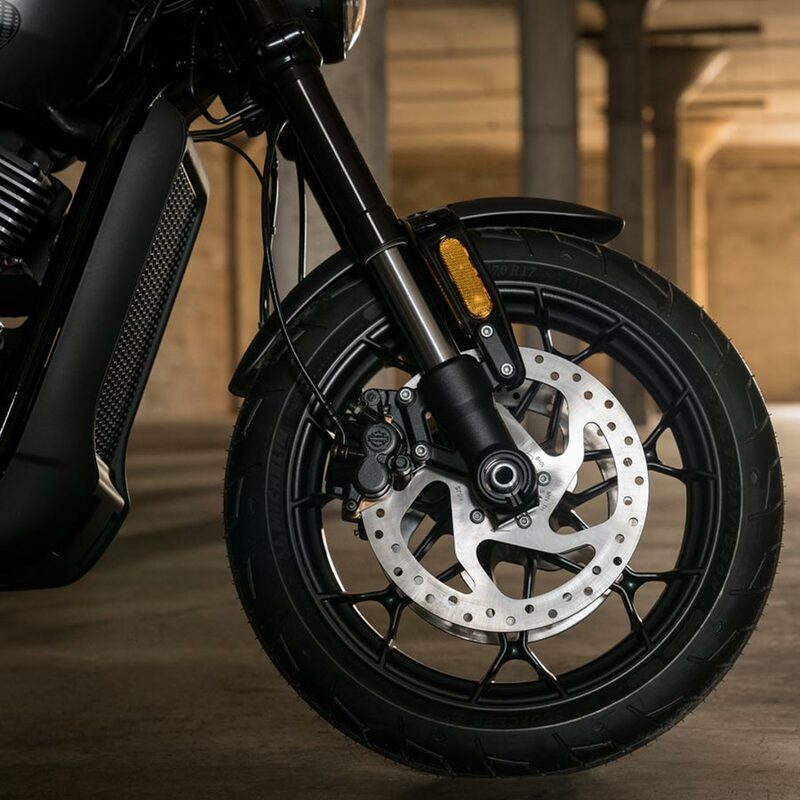 The Street Rod wears exclusive 17-inch front and rear Open Spoke Black Cast aluminium wheels and new radial MRF tires, sized 120/70 R17 M/C 58H front and 160/60 R17 M/C 69H rear; dual two-piston calipers and 300mm front disc brakes plus ABS deliver powerful, controlled stopping power. The Harley-Davidson® Street Rod is open for booking and will be on display across all Harley-Davidson dealerships in the country from 15th March 2017 onwards. Motorcycle enthusiasts will have the opportunity to test ride the Harley-Davidson® Street Rod from 21th April 2017.